As part of our mission to interact with and support local communities, representatives from Sinfonia Chorale performed a medley of Christmas songs, ably assisted by many enthusiastic members from Notts Clubs for Young People - the Chorale's chosen charity for this year. 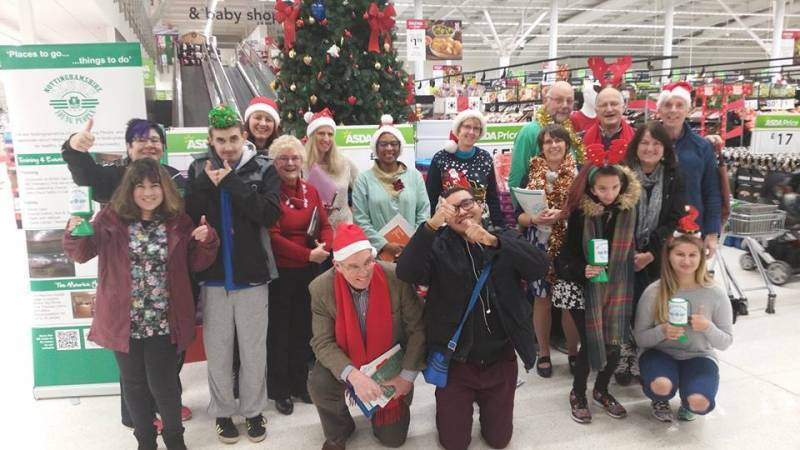 This heart-warming event took place in the foyer of ASDA, West Bridgford, much to the delight of the Christmas shoppers who were very generous with their donations. The Charity was amazed with the amount raised and this, along with the retiring collection from our concert at West Bridgford Methodist Church, will go towards purchasing music equipment for therapeutic use.